Woodpecker Kitchen Designs Inc. offers a top-quality design and cabinetry service that goes beyond your expectations. We invite you to visit our showroom where we offer a wide variety of choices in cabinetry, door styles, countertops, hardware, and accessories to meet every budget and personal taste. All our products are guaranteed to offer quality in materials and design, as well as long lasting performance. 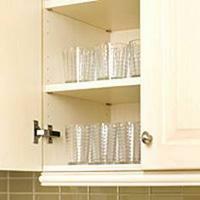 We specialize in Canadian manufactured cabinets of high quality, value, and craftsmanship. We invite you to complete the contact form and then we will contact you with the information you’ve requested. We strive to understand and exceed your expectations. 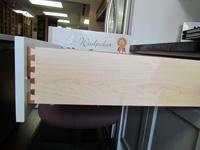 Woodpecker Kitchen Designs has two types of cabinet boxes to match every project. Full extension under mount glides with soft-close drawer and door system. The drawer boxes, using dovetail construction, are made with 5/8" natural solid hardwood. Our under mount slide system and integrated soft-closing makes it possible to open the drawer all the way, enabling access to the very back. All our doors are equipped with easy-close or soft-close systems. We invite you to complete the contact form and then we'll contact you with the information you requested. We strive to understand and exceed your expectations.